There are many options for storing your portable (mobile) staging, but quite often we hear from staging users that one of their top requirements is a very small storage footprint, as they rarely have the space, in the school hall or community/village hall. So portable staging can offer a really good solution, basically because the majority of brands pack down to a small proportion of their extended and use-able space. If you have the space, the best solution for storing and transporting is a flight case, but being very large and cumbersome themselves, these can cause as many problems as solutions. They teds to be used mainly by the industry, who may have suitable vehicles for transporting the staging around. When you are a travelling choir or performance act, you need small decks, riser legs and the ability to almost “sack-barrow” the staging in and out of cars. There are some good trolleys on offer and we will be doing a full review of the best for price and use, in the coming weeks. Other options include dolly’s, and simple stacking on the floor or in a store cupboard. Just be careful when storing the platform decks especially, as a number of the ones on offer are made of materials that don’t react well to heat, moisture or cold, so outdoor stores are not really a good option, if you want the platforms to be use-able for years to come. 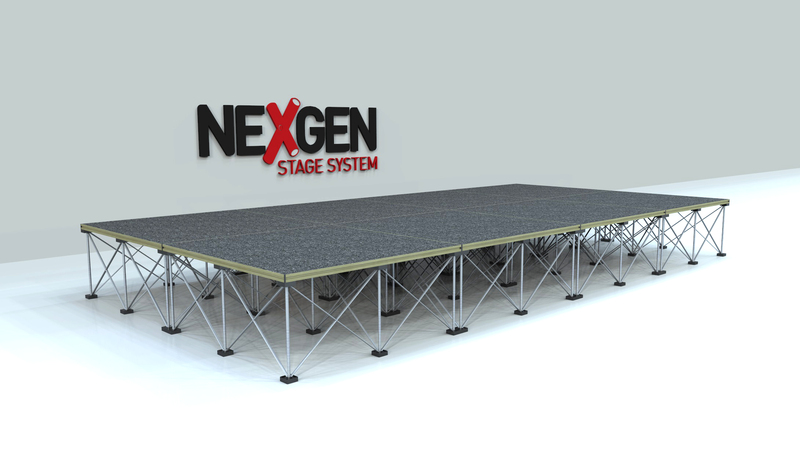 Top tips – try to store the staging platforms flat and on top of each other, with legs and accessories on top.